A leafy green that is definitely overshadowed by kale, arugula and other favorites, watercress is actually superior to them in terms of the nutrients it is packed with. From salads to soups, watercress can be a great ingredient to enhance your dish with peppery and spicy flavors. Incorporating it into your diet can bring you lots of health benefits. Here are some of them. Watercress has been gaining popularity over the past few years, but this resurgence followed a period of oblivion: once a staple among Roman soldiers, this leafy green was dismissed as something regarded as a food for the poor. 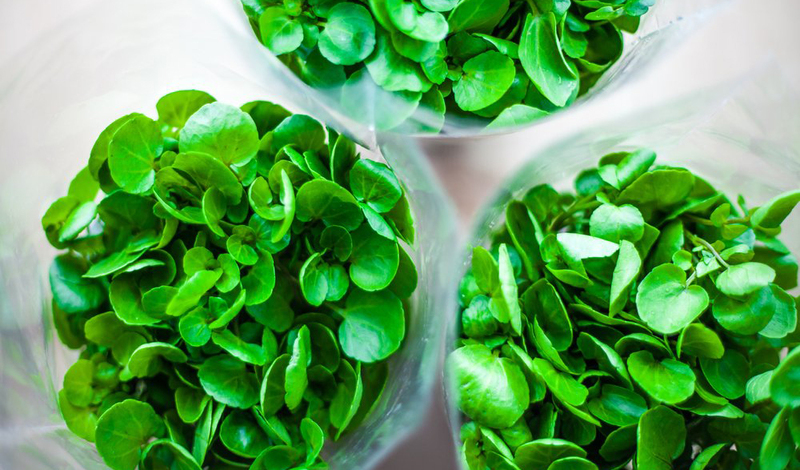 Now that nutritional value is becoming an important factor taken into account when choosing what foods to eat, watercress has recently joined the ranks of superfoods – for good reason. Watercress is ranked first in the list of nutrient-dense veggies and fruits compiled by the CDC. One cup of the vegetable can provide you with the whopping 106% of the vitamin K RDI. Vitamin K plays an important role in keeping bones healthy and ensuring proper blood clotting. However, it is also abundant in vitamins A and C, calcium and manganese. What is more, it contains glucosinolate compounds, which are usually found in pungent plants. These chemicals, as research suggests, can help reduce the risk of cancer and slow down cognitive decline. Watercress contains more than forty unique flavonoids. Flavonoids, which are a type of chemicals produced by plants, work as antioxidants, i.e. protect the cells of the body from free radicals. As watercress contains more phenols than the other greens tested in the study, its capacity for free radical neutralization is greatest. Oxidative stress is linked to an increased risk of a variety of diseases, including cardiovascular diseases, cancer, diabetes, etc. Incorporating more antioxidant-rich foods into your diet can help you support the body in its efforts to remain healthy, and watercress is one of the powerhouses praised most by researchers. As a cruciferous vegetable, watercress also boasts the great benefits this vegetable family is famous for. A study carried out by scientists at Lamar State College Port Arthur showed that eating cruciferous veggies can reduce the risk of cardiovascular diseases by 15.8%. Besides the compounds mentioned above, there are such antioxidants as lutein, beta carotene, and zeaxanthin. There is evidence suggesting that having insufficient amounts of these carotenoids in the body is associated with a higher risk of hypertension and heart disease. 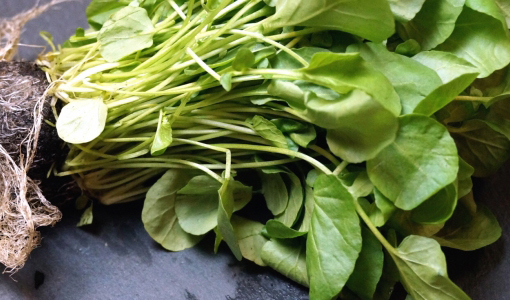 Dietary nitrates are another type of chemicals that are found in watercress in large amounts. These nitrates benefit blood vessel health by helping decrease their stiffness. Besides, dietary nitrates are known as chemicals promoting healthy blood pressure. 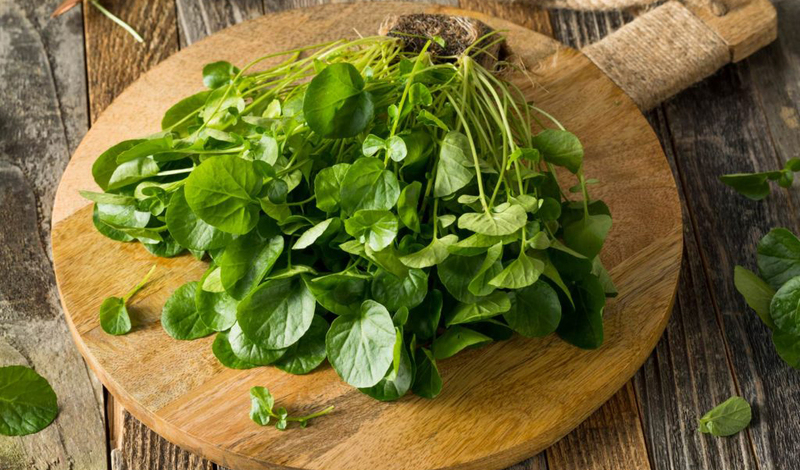 These are not the only health benefits of eating watercress. It is also great for the eyes and bones, as well as other systems, since the nutrients they are loaded with are needed by all organs. It can also be used in a variety of dishes, which makes it a versatile vegetable. Watercress is one of the cruciferous vegetables, which, as many studies have shown, are one of the greatest foods you can opt for. So why not give it a try?